One more time, we Asians get the taste of a hyped superhero movie before the Americanos. I reckon this to be some sort of a lab experiment. But who cares, we get to watch them first! Marc Webb had an unenviable task of creating the Spiderman brand afresh after the Sam Raimi trilogy ended a few years ago. There are changes in the original plot with an addition of a few characters, and the deletion of some. Now, Gwen Stacy (Emma Stone) is Peter Parker’s (Andrew Garfield) first love. Peter’s parents leave him with his Uncle Ben (Martin Sheen) and Aunt May (Sally Field) – what happens to them is a hidden story for him. Peter reaches high school and quite willingly steps up to the school bully Flash Thompson (Chris Zylka) never mind the beating, he gets his crush Gwen to dig him. Dr. Curt Connors (Rhys Ifans) was Peter’s father’s associate and they had worked together on the Latent Decay algorithm that would eventually help them grow missing human parts. Peter’s transformation into the web-slinging, wall-climbing Spidey is somewhat a variation of the earlier versions that we’ve seen. Thereby providing that much needed ‘fresh’ lease of life. We get to see a much emotionally evolving aspect of our indefatigable superhero, his longing for his lost parents and the draining romantic angle with Gwen inject a humane side to the teenage vigilante. 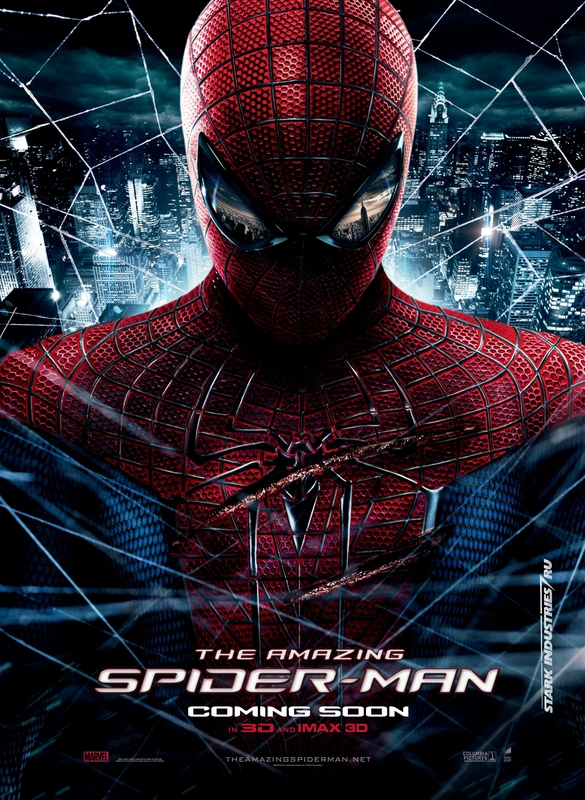 Spiderman seeks help from ordinary human beings and even police – Gwen’s father, Captain George Stacy (Denis Leary). The young protagonist commits mistakes and goes learning on-the-job to protect the city from The Lizard’s menace. You don’t get the prolonged action battles at the climax or gruesome fight scenes to make the characters strong, instead, the natural loss of each character is highlighted to provide depth. For this viewer, the action doesn’t cut in, nor the attempted establishment of each character makes a deep impact. Thus making the overall product unappealing and disconnected. The CGI, though limited, is visually enchanting in the form of Lizard’s skin and the realistic Spider webs. The background score is the stuff superhero films swing to. But the film, quite not much. I, for one, would have liked to miss this conflicting rage of constantly growing and going nowhere fest. Spare it for the DVDs and the kids. There’s a difference between a feel-good film and an over-the-top mind numbing cringe fest. Ironically, the two types listed above are sold off as ‘feel-good’. 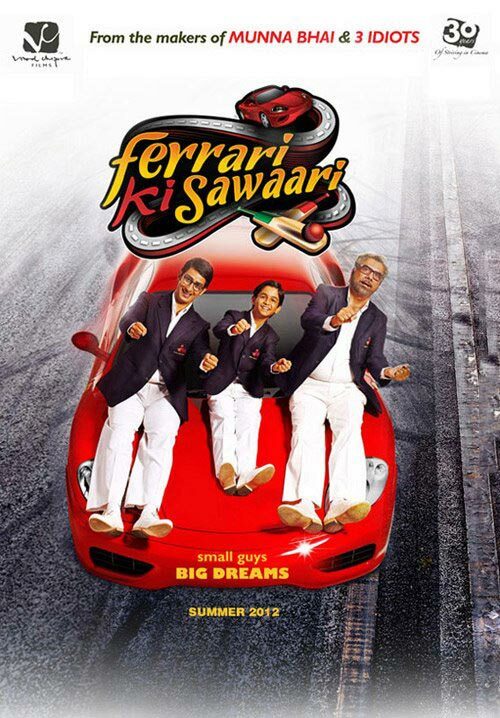 Ferrari Ki Sawaari is somewhat of a pullback to the former type. Here is a tale that portrays a not-so-above-the-Parsi-poverty-line family, that is content with what they have & still believe in making it big. Rustom/Rusy (Sharman Joshi) is a righteous man with his morality bordering on abnormal. While Rustom’s father, Deboo (Boman Irani) is a cribbing, grumpy old man who spends all his time by watching the TV on his couch. Rusy’s son, Kayo (Ritvik Sahore) is a talented young cricketer, but his grandfather isn’t much pleased about him playing cricket altogether. Between these conflicts, there is an opportunity for Kayo to break out into a major cricket training schedule in Lords, England. What ensues this is a throwaway of a lot of entertaining characters doing their parts perfectly and fitting into the mould of the film in a fine way. Out of all, Babbu Didi (Seema Pahwa) comes out as one of the most endearing characters out of the entire ensemble cast. It’s a shame I can’t find her name anywhere. Not even on the internet! Sachin Tendulkar’s apartment guard (Deepak Shirke) and the chauffeur (again, couldn’t find the name) keep you laughing throughout their sequences. The influential father-son duo provide for the comedic melodrama. The film is entirely based in Bombay, describing what parts of a car are sold in which part of the town, again, entertaining. Ferrari Ki Sawaari wins in bits and pieces and not a single moment tends to get monotonous or unappealing, except for the tad exaggerated depiction of kindness at the end. 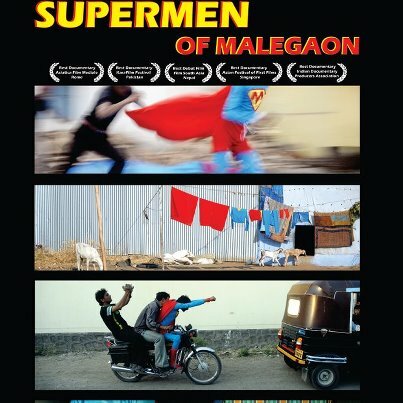 Rajesh Mapuskar’s first directorial venture doesn’t give off a rookie feel, job well done. Major props for the casting and the performances of the protagonists along with the aforementioned ensemble cast. The script is elevated by a several notches because of all these binding factors. Ferrari Ki Sawaari is a delighting watch for that old-school feel good experience, capturing powerful moments along the way. 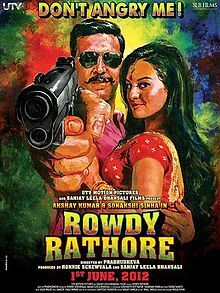 A minute later, one of them finally said, “Isse acha to Rowdy Rathore dekhne jaate the.” (We should have rather gone for Rowdy Rathore) That’s where I loudly grunted “Oh Bhenchod!” Five minutes later, everyone starts clapping at a line from the film. Vindication perhaps. Let’s start rolling now. For a change, we see our frontal characters driven by a certain reason for what they do in this film. May it be personal vendetta, lust, love or simply anger. Shanghai goes on to show how actually how all of us become a part of a bandwagon, unknowingly, that could possibly steer into a dark abyss. 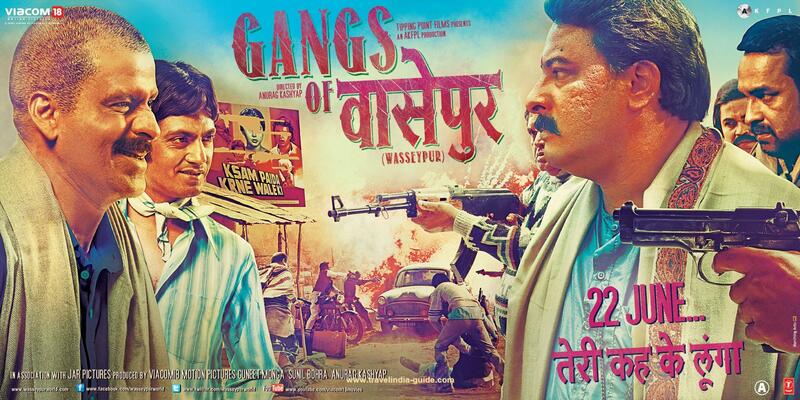 The tone of the film remains subtle, right from the background score to the performances put in by the protagonists. The editing is as crisp as a Sada Dosa. The characters’ self-reflective moments aren’t strapped with a thick voice-over, instead, there are pauses. The defining seconds that Shalini Sahay (Kalki) uses to think upon the foreseen deterioration of circumstances, or that small moment where T.A. 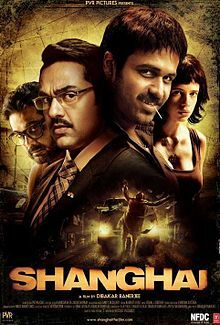 Krishnan (Abhay Deol) goes back in his seat to take the morally right way or the idyllic path, this is how Shanghai works. Jogi Parmar (Emraan Hashmi) has perhaps one of the most layered and complex persona. You see him dancing, videotaping and running. All with a blitzkrieg of ragingly different emotions. Dibakar Banerjee assorts pieces of his script and puts together a boiling exclamation point, that could be deciphered as a question mark as well. The modern political debauchery is handled with the utmost irrelevance that it deserves. Nikos Andritsakis’s camera work and Namrata Rao’s editing get the hat-tips along with Abhay Deol’s perfect depiction of a South Indian. Again, he doesn’t go overboard, but he gets every detail right. No bottom lines here, Shanghai is the winner.